Welcome to the November 2012 Freebie Challenge! I think it's appropriate to take some time, and remember these people and what they've given us and given up for us. The rules are in the usual place, except that I request at least 8 free items this month, not 10. 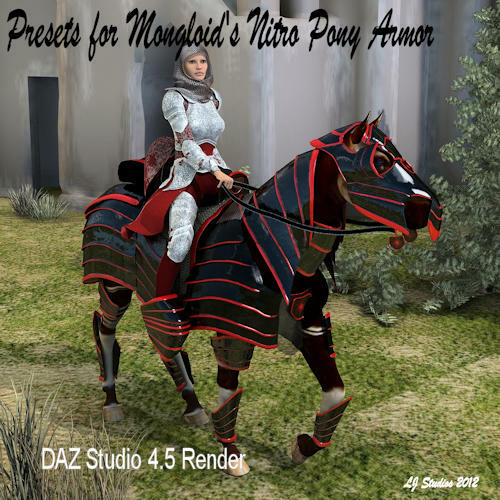 Dollygirl has donated a set of DAZ4.5 and Poser presets for Mongoloid’s Nitro Pony set - fits and material settings for the Mil Horse, and pz2 files for the Poser horse. Also, music2u4u has donated "a memorial for our fallen." Everyone who enters will receive these gifts. BWSman has promised some textures for EvilInnocence's April Dress, and Chohole has promised some textures (probably for Mamota's MMShirtOnePsetForV4A4). Everyone who wins or gets an Honourable Mention will receive these texture sets. Jaderail has donated some gift certificates: The third-place winner will receive a $10 gift certificate, the second-place winner will receive a $15 gift certificate, and the first-place winner will receive a $20 gift certificate. 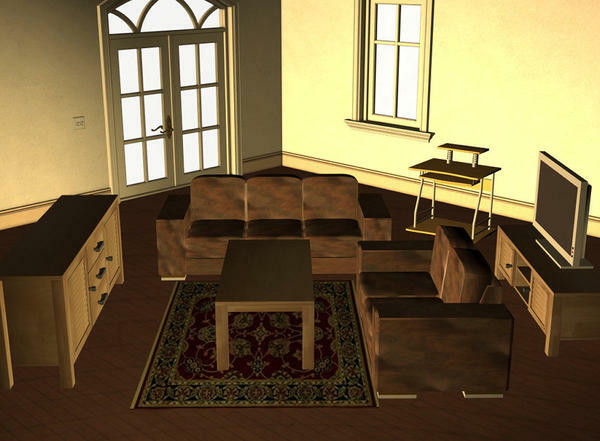 Mavelle has promised some furniture models - their loungesuite and computer table. The third-place winner will receive these models in addition to the gift certificate. The second-place winner will receive Carter’s Old Time General Store, a creation of (and donation from) Music2u4u in addition to the gift certificate. I mentioned in last month's thread that I couldn't tell you what else the first-place winner will receive in addition to the gift certificate - this is because you'll have to choose it yourself. Mr. Sparky has donated one of his bundles as a gift to this lucky person. Your host for this month's Challenge is Rob Kelk, one of the forum's more prolific freebie-list compilers. The Bonus Game was "Set the Table" - congratulations to Lord Ganthor for his winning entry! Edit - November 18: The Bonus Game has begun! sounds like a great theme Rob, if I can get my puter up and working I may have to give it a shot. So, the challenge is to pay tribute to anyone who does something nice? That wasn't quite what I had planned, but who am I to trample on someone else's creativity? I believe it's more for paying tribute to those who put their lives on the line for us every day, such as military Veterans, Police, Fire Department, etc. November is the month for Veteran's Day (in the US). an NAE to start this off, one I know Rob likes. 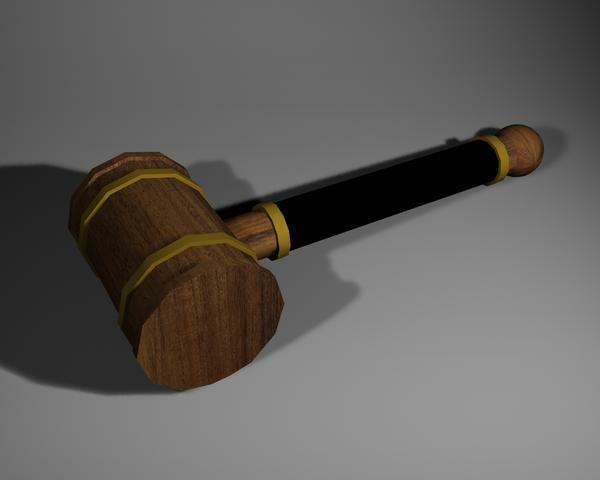 Here are some renders of the entry freeibe. Hope you like the set. Rob I will be a judge this month. Yes, precisely why I asked. From earlier discussions, I thought Rob's focus was entirely on Veteran's Day / Remembrance Day, but he seems to have expanded the scope quite a bit in the Page 1 intro. Far from trying to push alternative creative approaches to the theme, I just wanted to make sure he was saying this month's challenge could even apply to well-behaved children showing respect to their elders (or stuff like that). I certainly have no intention of trying to expand the boundaries! I just wanted to say what a beautiful idea for a contest. As for many others, I have lost friends to the honour of serving their country, some Britain, some others. And am thankful for the continued happy lives of the friends that came home. @Rob: Man, that intro actually had me welling up. Love the theme. @Chohole: As I said in private, the render above is both beautiful and powerful. Thank you for sharing. @The Community: This is now THE ONLY community I contribute to regularly. I wish I could do more for it because the people, and the software it's associated with, have helped me through some tough times. It's easy to say things like that, and I've seen it many times on other communities, but as an example, I rendered some images 'just to let them out of my head' when my stepdaughter lost her baby boy to social services in February, and I've had lots of help, both practical and morale boosting, from the friends I've made on the forums here. Just looking in and Saying hello. I hope one and all have a fun time this month. I owe the Challenge big time, when I was new to 3D this challenge got me started and provided links to so much useful content. Good luck to all, I'm looking forward to all the great renders, and maybe you might even post a link I have not collected in the past ;-P .
P.S. I plan to Help as I can, so be sure to ask if you wish to get some tips for your work. I really like the black one! Where is this Nitro Pony Armor? Thanks, Dollygirl! I've added your name to the judges' list in the first post. My original intention was to focus on Veteran's Day / Remembrance Day, yes. But then Music suggested adding in a tribute to those who sacrificed their own lives on 9/11, and Cho suggested another more personal reason to remember someone, so I decided to broaden the theme a bit. Perhaps "well-behaved children showing respect to their elders" might be broadening the theme a bit too far... but if you can make it work amongst the expected scenes of servicemen and social workers, more power to you. Sorry, my eyes just glazed over. It's been a long day. Thank you! Does that have a fit for the Millennium Horse, too? Just curious. Nice work Robkelk. I may even enter this one. For now though...I would like to offer my services and experience for the position as one of your judges. Got an opening? I have both the Poser horse and the Mil horse. Most of the armor and saddles I have gotten will NOT work on the other one. You might could tweek it, but I am sure that it is probably dynamic since it is for Poser. It won't move with the horse in DS. I am sure it is all .pp2 prop files, not .cr2 conforming files. I could be wrong though. Both color sets are provided for each horse. In the readme file I tell you to load your horse into the zero position. load the armour. Parent the armour to the horse. 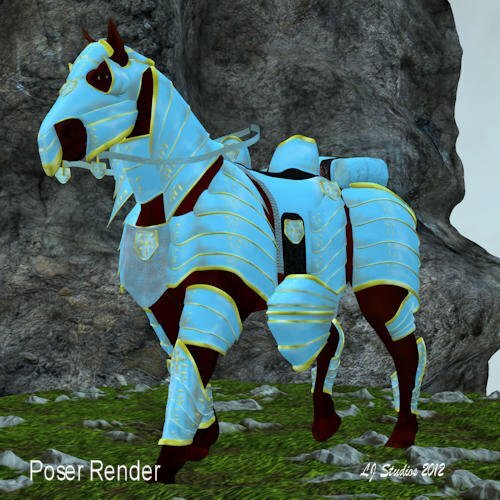 It is easy with the Poser horse because Mongloid named the parts the same as the horse parts. Right Shoulder Guard to Right shoulder on the horse. With the mil horse you have to guess. I just started making parts disapear, the bone that was underneath the armour became the parent. Once you have parented the parts you can pose your horse. If you look at the promo pictures you can see that both horses are not in the zero postion. I don't think the armour is dynamic but they are objects so in Poser you could play around and see. Some of the pieces will not work for some poses. The DAZ set is only good for 4.5. The presets for both the gold and blue and the black and red are actually partial scenes so the pieces come into the scene with scaling applied. So the hip guard for the mil horse is wider because the mil horse has a bigger bum then the Poser horse or like the leg guards. they are smaller for the mil horse. For Poser the blue and gold are CR2 files and the black and red are pz2 files. This allows older versions of DAZ to use the files but you will have to resize and reposition the pieces if you chose this option. You will also have to change the surfaces to take advantage of the new bump files for DAZ. I hope this clears up any questions. Thanks. Well, I have Poser Pro 2010, so I guess I have the horse. I suppose it won't hurt to grab that armor. Oh goodie Dana is going to submit something! Well, as clear as can be for me right now. I didn't think it made sense for it to be dynamic...after all, armor doesn't drape, it's supposed to be rather rigid. Looking Forward to your Render DanaTA. I see you are very into the contest, I hope you find the time to do the work need around your home and get a render or renders entered in the contest. I hope the information provided about the prizes offered just for entering the contest have fired up all followers so that I can see some Renders before long, and that DanaTA is ready to render as well. This is the fourth contest I have helped Sponsor and I'm looking forward to what you all do, the other contest's were (are) fun. I hope to have as much fun this month in this one. I thought the contest might have more followers by this time as the prizes are very good. I hope to see more users join in and discuss the contest idea or ask a question about the contest. If you are rendering as you read this, GOOD for you! I want to thank you for the prizes Jaderail, that was very generous of you. I also want to say the Jaderail has a very good way of providing suggestions for improving one's render and I for one am looking forward to taking the opportunity to learn something from my work. I have one in the works right now. My donation for this month contest is another part from my furniture our loungesuite and the computer table you can see yourself who get's it. Just like before I will provide kendall the links if he is agree to that. Just for the record: (are you paying attention Music? you can put this in the info if you like :-) ) I will happily host the freebie prizes for as long as the hosts, ETO's, DAZ, and the Challenge Users are OK with it. I will sent you the package and I will see or they aprove that you host it.